Ok kids, the pit stop’s over. Time to pile back into the car and finish our trip. If you missed the first half, click here to catch up. Try not to snooze and miss all of the scenery! Good times were had dancing to the music of the Dave Matthews Band at the Gorge. If only the weekend (and the summer) could last forever! But, the fun isn’t over yet. We still have the return trip to Utah and the second half of our DMB road trip brewery hop to enjoy! 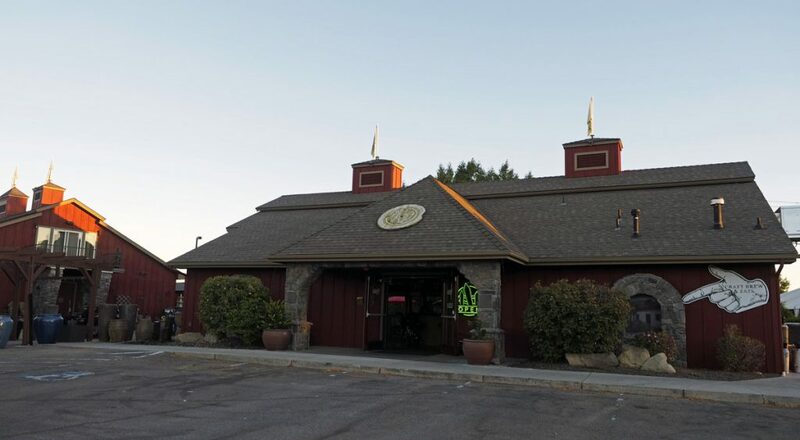 As a kid, when my family and I traveled to Washington to visit my Grandma, we often stopped in Baker City to visit a restaurant called “Sumpter Junction”. It has a neat a model electric train that travels all around the restaurant. Fun for kids, but as an adult, I never stopped in Baker City unless I needed gas or a toilet. Now that I know about Barley Brown’s Beer, the little town is back on my “must stop” list. 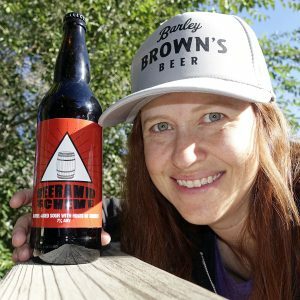 Barley Brown’s Beer has been around since 1998, but it was never on my radar. 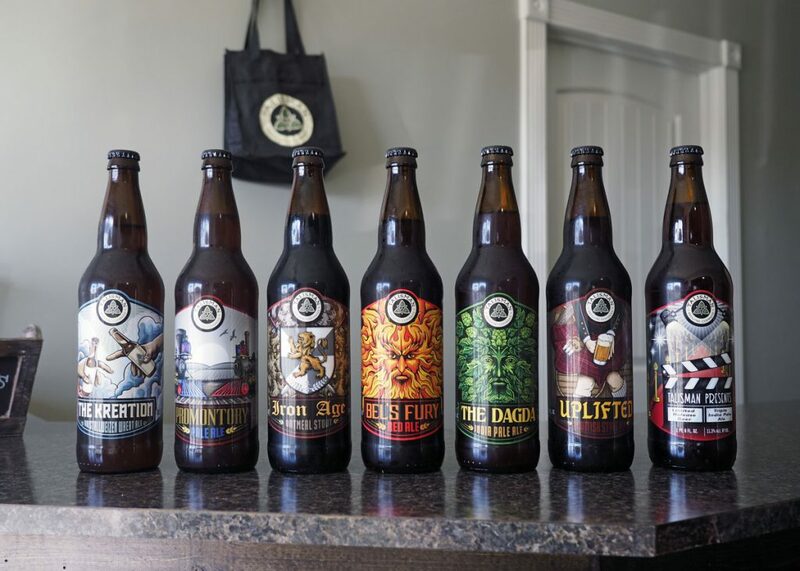 The family brewery’s distribution is mostly limited to Oregon and they only bottle a select few seasonal beers. 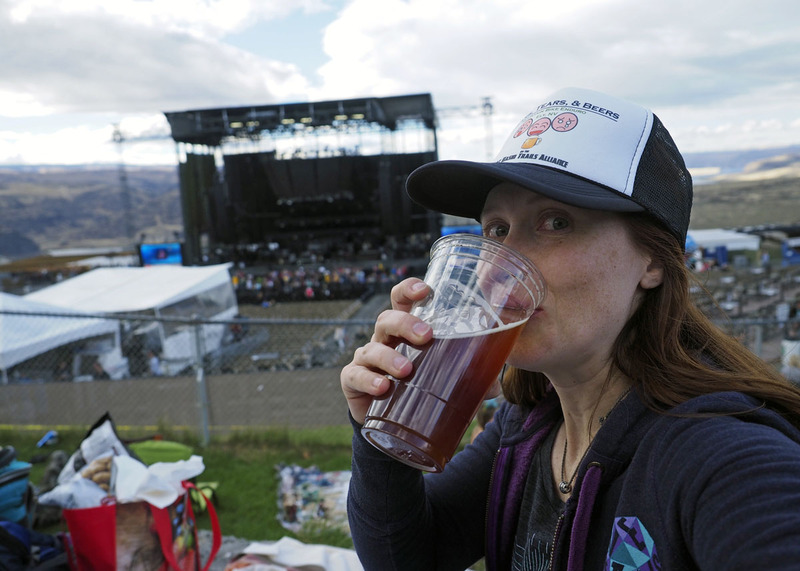 I noticed Barley Brown’s while writing my article about the Mountain Brewers Beer Festival in Idaho Falls. As I browsed the award winners, the name came up several times. Sadly, I’d missed their booth. As it turns out, Barley Brown’s has no shortage of award winning beers. Lucky for me, the Taproom was open on Labor Day and I was able to make an afternoon stop there. 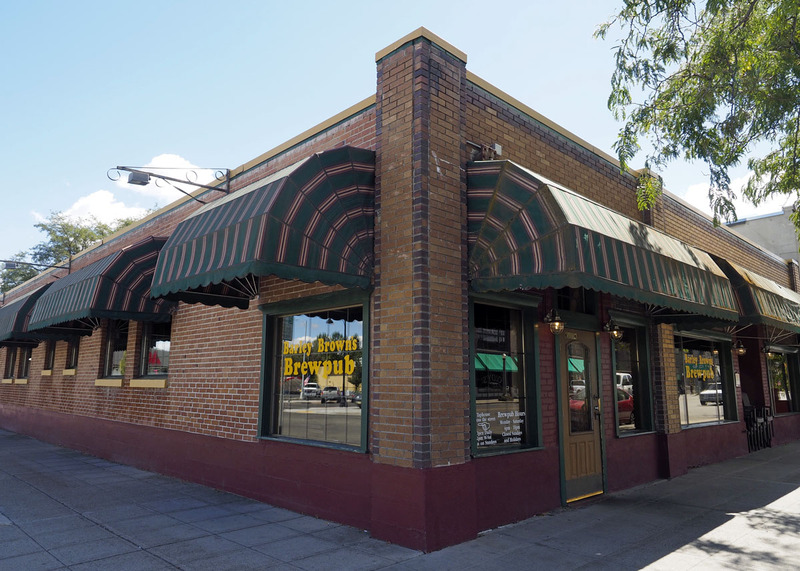 Barley Brown’s brewpub and restaurant is a fixture of Baker City’s historic Main Street. The Taproom and production brewery next door is brand new. 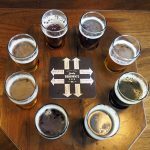 Because of the holiday, I wasn’t able to visit the restaurant, but I did get to sample 8 of the numerous beers on tap in the Taproom. I loved the Pallet Jack IPA made with Northwestern hops, and I was also quite intrigued by a jalapeño/ginger red ale called “Joan.” The real standout for me was the Turmoil Black IPA with its fruity aroma and impeccable balance. I also happily took home a bottle of Beeramid Scheme, a barrel-aged sour with hints of cherry. Owner, Tyler Brown, also happened to be hanging out at the bar that day. As we chatted, I realized that he’s pictured on the cans of 3 Way IPA, a collaboration beer made by Fort George, Barley Brown’s, Melvin. Cool! He kindly sent me away with a fabulous new trucker hat, which I’ll proudly wear. I really enjoyed my time there, and I must say that I’m quite taken with Barley Brown’s! 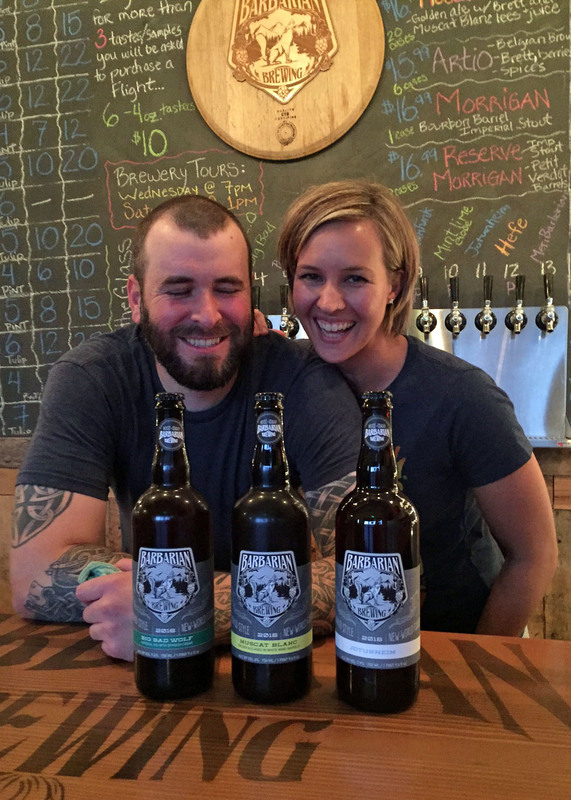 The year old Barbarian Brewing is a husband and wife team that specializes in complex sours and barrel-aged beers. 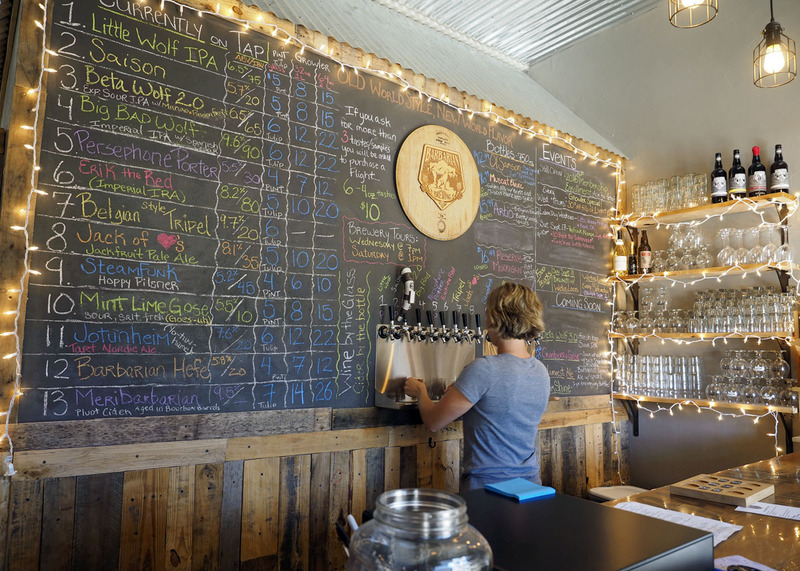 Bre Hovley and James Long have created the ideal brewery for beer geeks. If you’re in Boise, you’re going to want to stop by. 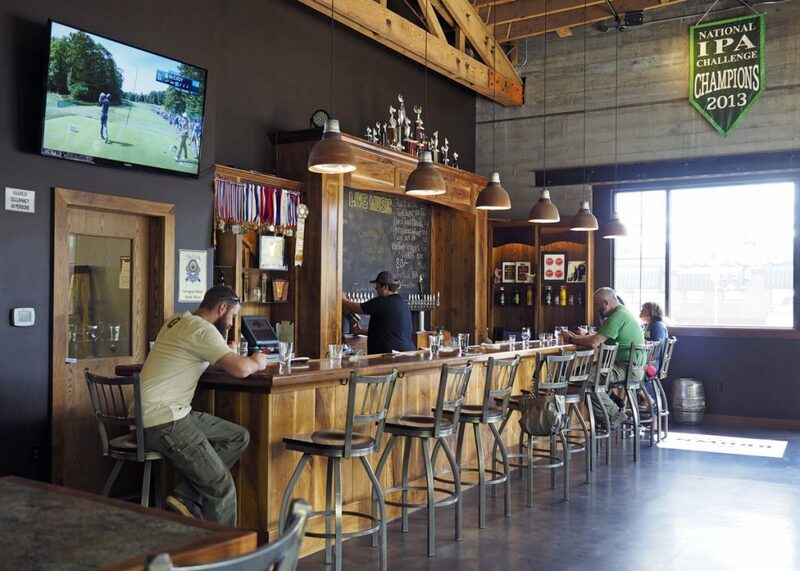 Their small taproom carries large selection of unique beers on tap and various tantalizing bottles to take home. 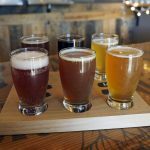 Selections lean towards a higher ABV and many have funky flavors from bacteria like brettanomyces and lactobacillus as well as exotic fruits and other adjuncts. I enjoyed a refreshing mint/lime gose and the Beta Wolf 2.0 sour IPA. The potpourri-like Jotunheim is brewed with yeast harvested from Norwegian wild apples, juniper, elderberries, and Spanish cedar. Jack of Hartz, an Imperial Pale Ale, has citrusy hops and Jackfruit. My favorite was the Soir Noir Dark Saison aged for 6-8 months in a merlot barrel with both brettanomyces and lactobacillus. Barbarian’s delicious anniversary beer, Funkshine, is a golden ale aged in white wine barrels with Brett, blended with Sauvignon Blanc juice, and dry-hopped with Citra and Mosaic hops. Yum! 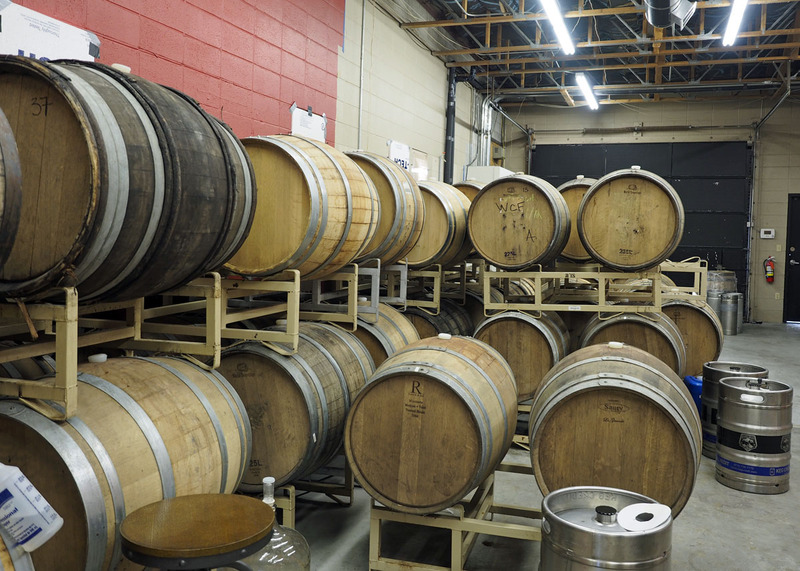 The next few months are going to be exciting for fans of Barbarian Brewing. Many of the brews quietly aging in their barrels are beginning to mature, so lots of thrilling beer releases are on the horizon. Bre and James are especially looking forward to releasing Elixir of the Gods, a 12% ABV sour Quadrupel aged in port barrels with pomegranates. Look for that one toward the end of the year. These former neighbors of Barbarian recently moved to a large property in Eagle, a town next to Boise. 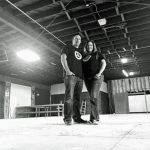 After celebrating their 4 year anniversary, Crooked Fence made the move to become a destination brewery. The new location is beautiful! 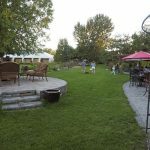 With a greater capacity to host events, Crooked Fence is now a place for concerts and live music as well as weddings and the like. They recently welcomed the nostalgic rock show, Summerland Tour, featuring Sugar Ray, Everclear, Lit, and Sponge. 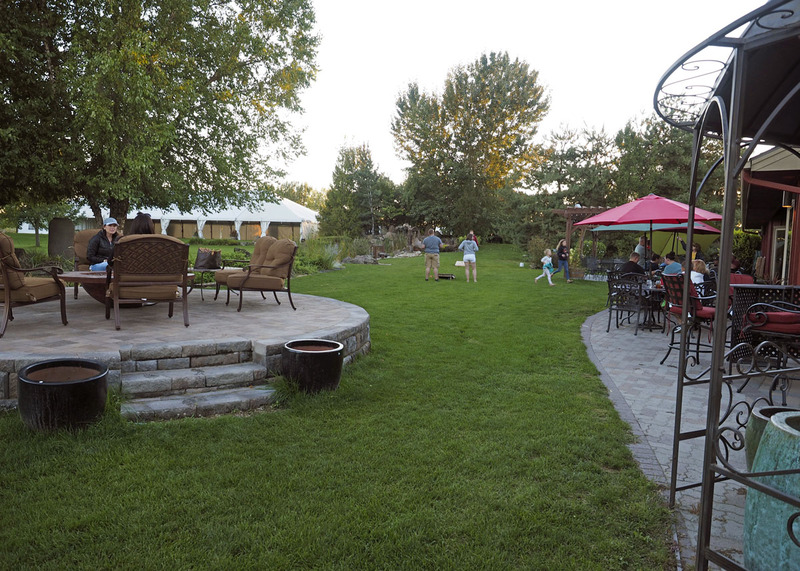 Their patio and lawn features a fire pit and a big tent for all sorts of gatherings. 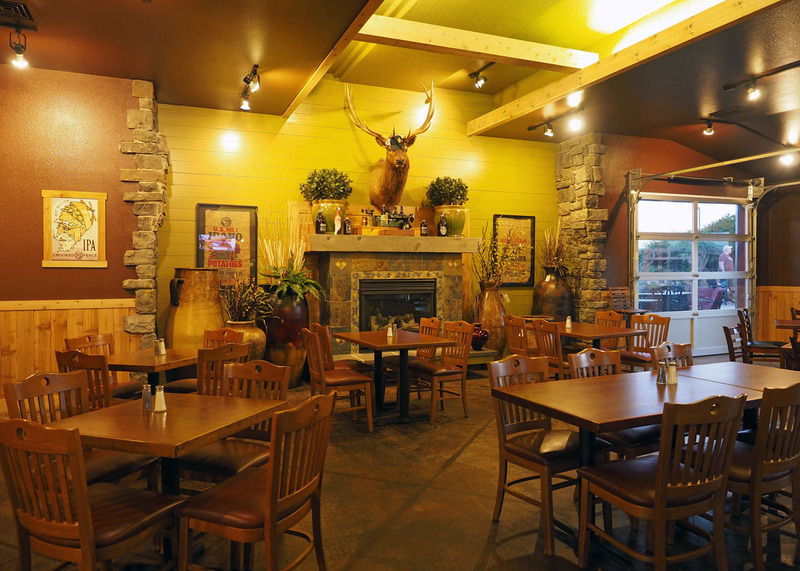 Inside, the restaurant has a cozy lodge feel. 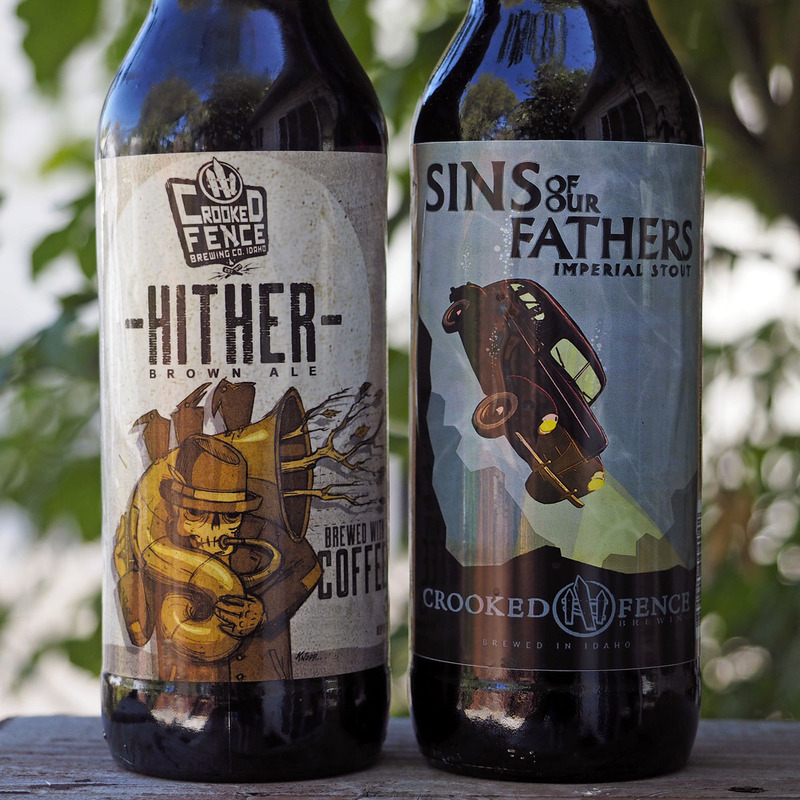 I was initially attracted to Crooked Fence by the awesome artwork on their labels. 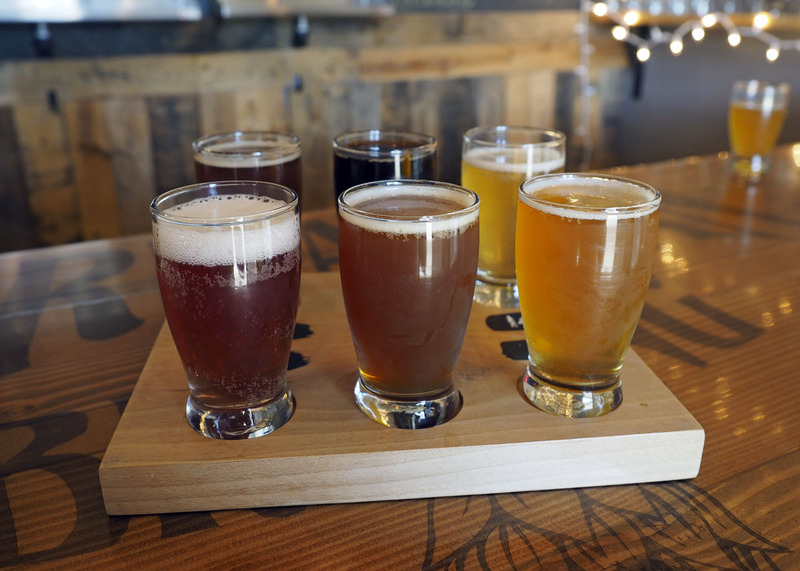 The artist is one of the founding members of the brewery, Kelly Knopp. I’m a sucker for a sweet beer label, and these are pretty cool. The last few months have brought a lot of change to Crooked Fence. Besides, the move, there is a new head brewer, Aaron Haws. I spoke with co-brewer, Kolin Phillips, who showed me around the place. They’ve been working to fine-tune all of their beer recipes and really push the brand to new heights. 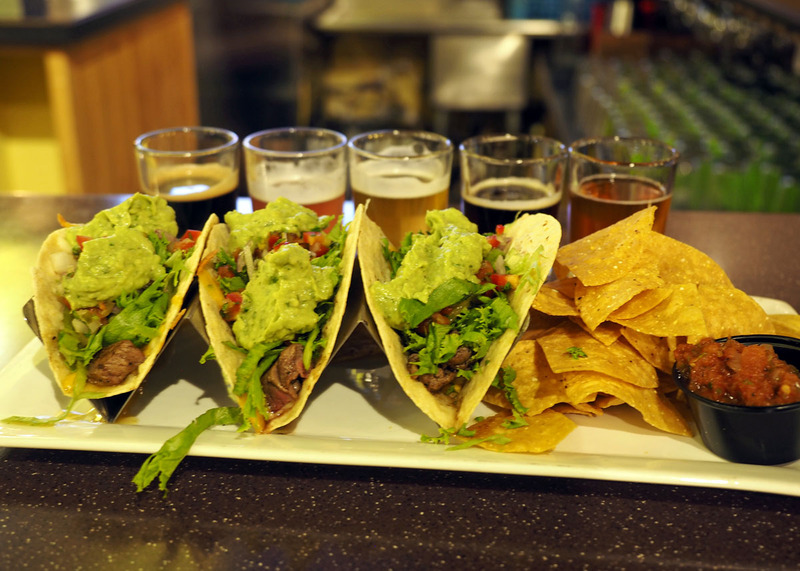 I sampled several of the Crooked Fence beers along with some steak tacos that really hit the spot. I enjoyed Tiger Spit, a blood orange Wit beer, quite a bit! It was nice and light with citrus hops and a subtle blood orange flavor. 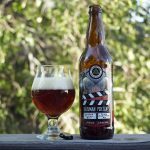 The fall seasonal Hither Brown Ale had caramel, vanilla, and coffee notes that worked nicely together. 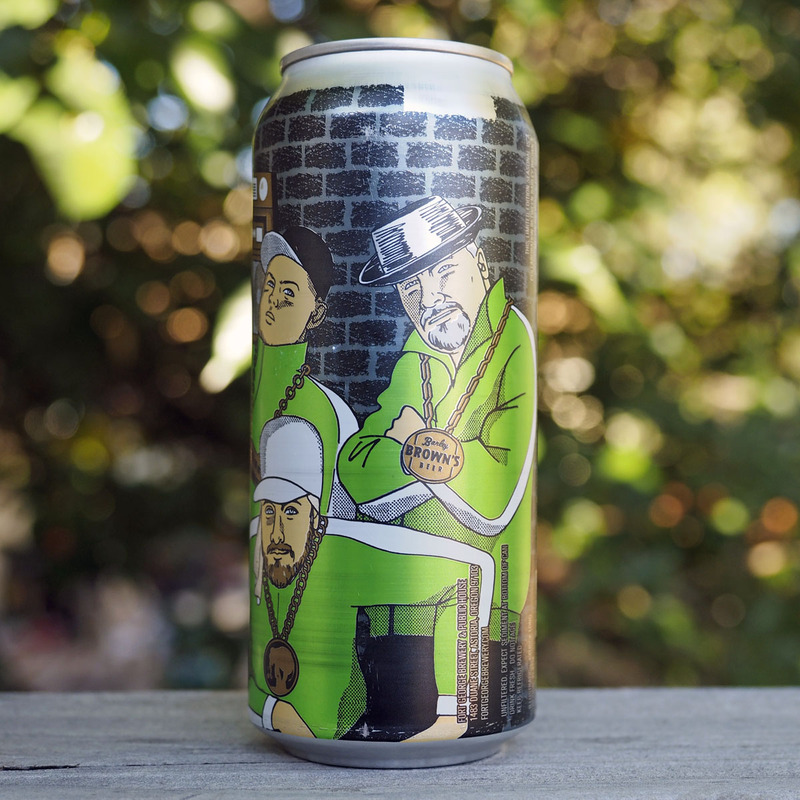 The well balanced double IPA, Gang Related, had sweet malts with lots of fruity late addition hops. 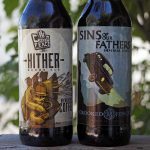 Sins of Our Father is a hefty Imperial stout with cookie, coffee, and chocolate notes. This brewery was worth the short trip from Boise. 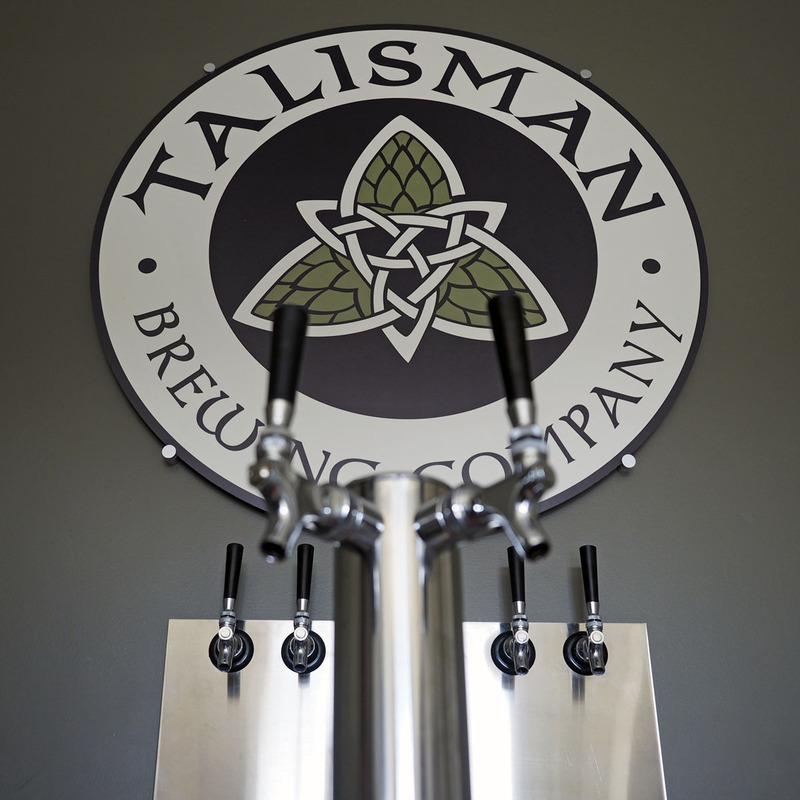 Funny that it took a 1500 mile road trip to finally make over to Talisman Brewing Company, one of Utah’s newest breweries. It’s only 45 minutes north of Salt Lake, but apparently just far enough to prevent me from visiting in the 5 months since it’s been open. I’ll have to make more of an effort in the future. 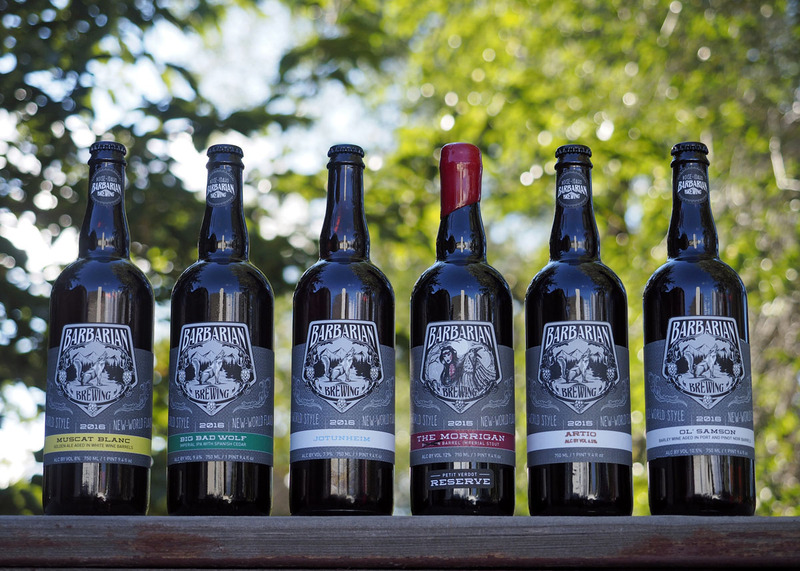 Fortunately, Talisman makes and bottles some 4% ABV options which are conveniently available in Utah’s grocery stores. 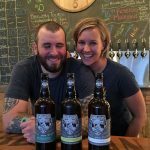 Talisman is a husband and wife team production brewery, similar to 2 Row Brewing in my neck of the woods. Dusty and Joann Williams run it along with their employee, Cade Wight, who also helps with the brewing. The focus is on the beer. 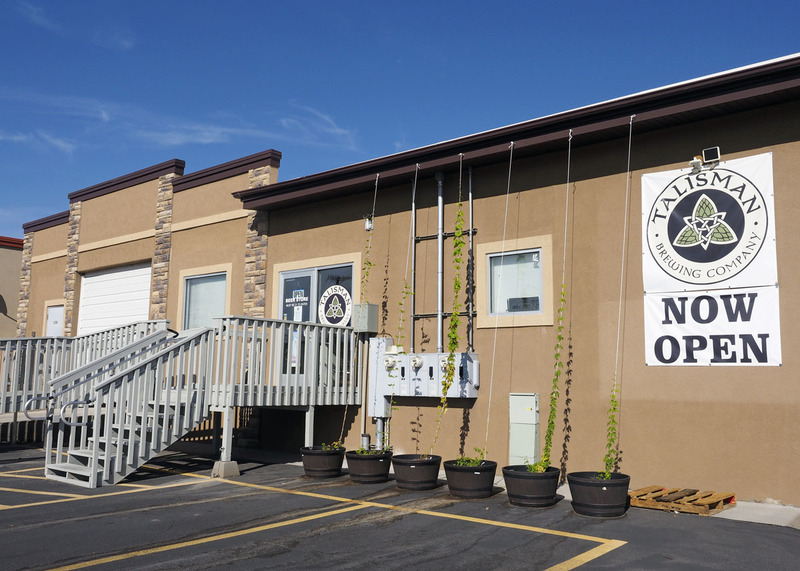 They don’t run a restaurant or taproom, just a brewery with refrigerated cases full of beer and taps for growler fills. You can buy Talisman swag and even some soaps and lotions made by a local who was inspired by their beer. Until Talisman came around, Ogden was home to just one brewery, Roosters Brewing. Residents must be stoked to have some new local craft beer in town! 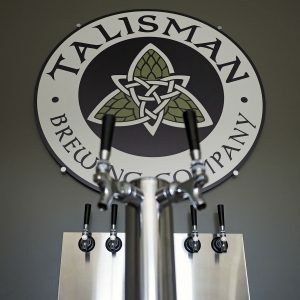 Talisman also happens to make the only triple IPA in the state of Utah. The decadent 11.3% abv beer has a ton of sweet caramel malt and citrus/pine hops. Very rich! They also just released a limited edition version of their Iron Age Stout, barrel aged in whiskey barrels from Utah’s own Sugarhouse Distillery. It’s currently sold out, but another batch will be out in the next month or two. 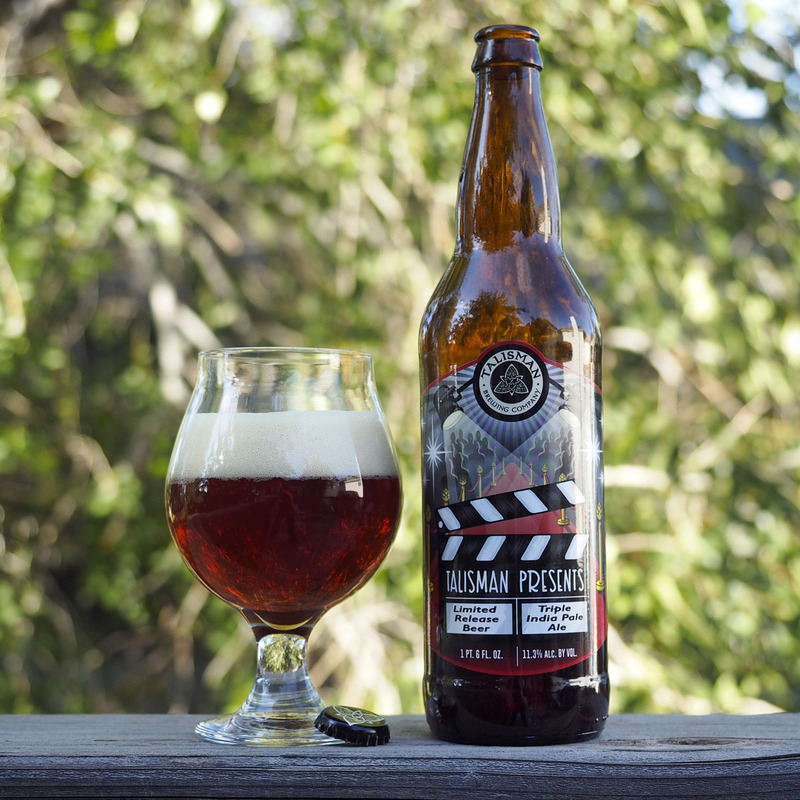 Talisman’s seasonal series got off to a great start this summer with a wheat ale brewed with blood orange. The Belgian yeast and lightly tart orange flavor is reminiscent of a mimosa. Yum! The Uplifted Scottish style ale is another fan favorite. It’ll be fun to see what Talisman does next! 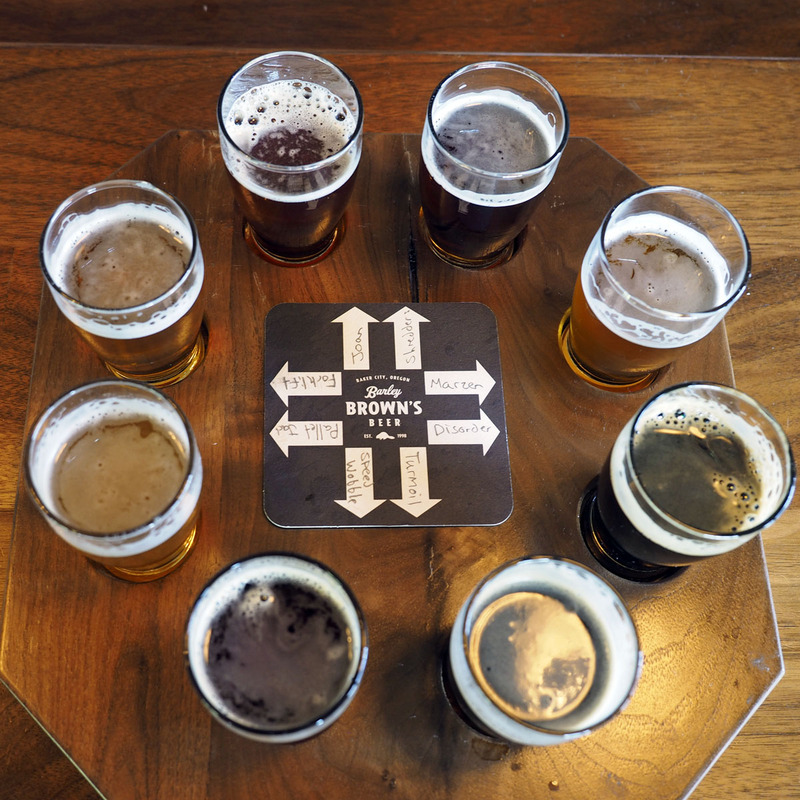 Nice trip…I need to do a West Coast Brewery Crawl!